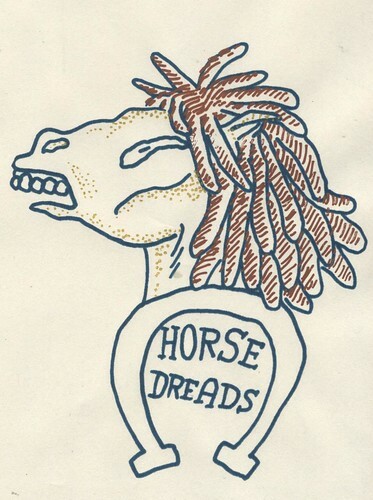 Horse Dreads Tattoo, a photo by willlaren on Flickr. Another page from my upcoming mini-zine of silkscreens "Tat Squad". Should be up for sale this monday after I get back from SPX.